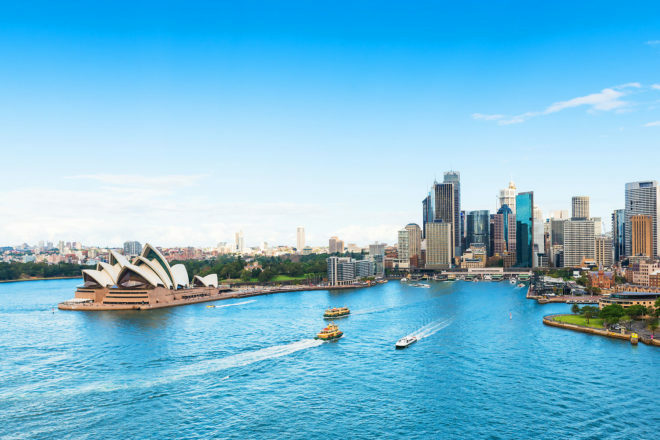 Insider’s guide to Sydney, Australia, ranked #9 in our countdown of ‘100 Most Incredible Cities in the World’. Most visitors to Bondi only shuffle between the beach and Campbell Parade that runs parallel. To get under the skin of one of Sydney’s most desirable postcodes, it’s worth turning into Hall or Curlewis streets then onto Glenayr Avenue, where you’ll discover cool cafes, wine bars and shops not overrun by towel-wrapped beachgoers. When the weather is warm, pick up a kayak from Rose Bay and paddle your way to Watson’s Bay where a cold beer at its eponymous hotel will serve as a reward. This inner-city suburb is hipsterfying quickly: art galleries, a new shopping hub called Central Park, and hot restaurants, such as Ester and LP’s Quality Meats, are sprouting up faster than you can pour a cold-drip coffee. Once Chinatown sat alone at the Central Station end of the city, but now other ‘towns’ are joining in to create a Little Asia. Hungry hoards can now navigate their way to Thaitown and Koreatown. Go-tos include the Thai grocer Jaroen Chai and adjoining Boon Café, Madang for excellent Korean barbecue, and aromatic Malaysian fare at Mamak (also check out their offshoot, Hawker). Some of Sydney’s beaches can only be accessed by water or a hike. On the north side, refresh at Collins Beach after a walk along North Head; this little curve of sand features its own waterfall. On the east side Milk Beach and Parsley Bay Beach at Vaucluse are the stuff lazy Sundays are made of. For more travel advice, dreamy inspiration and brag-worthy holiday ideas in Sydney, visit our sister magazine, Australian Traveller.